I earned a Ph.D. in Computer Vision and Machine Intelligence from Department of Computer and Electrical Engineering (ECE) at the University of California Santa Barbara (UCSB) in the Vision Research Laboratory under the advisement of Professor B. S. Manjunath. Prior to my Doctorate work, I obtained an M.S. in Signal Processing from UCSB and a B.S. 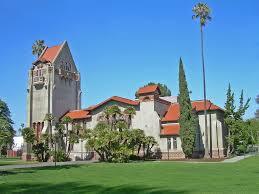 in Electrical Engineering and BioEngineering from San Jose State University (SJSU). I have a dog Rupy Ru the Siberian Husky and love the outdoors and political activism (environmentalist and conservation). I grew up alternating between Mexico City and San Jose, California. 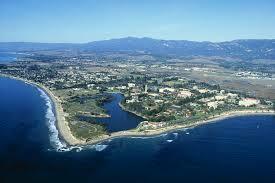 I moved to Santa Barbara/Goleta for grad school in the Fall 2009 and I love it here! In 2009 and joined the ECE department at UCSB as an NSF fellow. In early 2012, I obtained an M.S. degree in ECE from UCSB with concentrations in Signal Processing, Machine Intelligence, and Controls Systems. I took courses in Robotic Networks with Professor F. Bullo, Control Systems with Professor J. P. Hespanha, Speech Processing and Recognition with the amazing Professor L. Rabiner, and Computer Vision and Image Processing with (my current advisor) Professor B. S. Manjunath. My experience as graduate student includes drafting research projects and grant proposals. I was awarded a US ARMY seed research grant and received great feedback and honor mentions for my proposals to the NIH and NSF. I am looking forward to defending my thesis work this coming Winter 2017! I obtained a B.S. in Electrical Engineering and BioEngineering from San Jose State University (SJSU) in 2009. I entered SJSU with the Hewlett-Packard scholarship and later on I received the National Institutes of Health (NIH) Minority Access to Research Careers (MARC) fellowship. The concentration of my B.S. classwork was in Digital and Analog Circuit Design. My senior/graduation project was based on a high definition multi-input wireless musical instrument interface. It blended my passions for music and engineering. The project was a collaboration among Abdul Basir, Rogelio Flores, Andre Meiman, Conrado Tan, and Carlos Torres under the advisement of Professor Robert Morelos-Zaragoza. During my junior year at SJSU, I received the MARC fellowship which exposed to me academic research. MARC allowed me to work with one of my early research mentors Doctor Daryl Eggers. In the Egger’s lab, I conducted protein absorption and adsorption studies using a CD-spectrometer. My investigations were presented at various biochemical and chemical conferences and published in peer-reviewed journals. In the Egger’s lab I learned to thoroughly design experiments and synthesize TMOS modified sol-gel glasses . Although unrelated to my electrical engineering studies, this research experience motivated me to consider an academic research career. Also with support of the MARC fellowship, I joined Doctor Charlie Kemp’s Healthcare Robotics Lab (HRL) at the Georgia Institute of Technology as a summer research assistant. At the HRL, I worked along side very good friends Travis Deyle, Cressel Anderson, and Sugandha Arora designing and testing methods for the in-house robotic system, EL-E, to place objects on flat surfaces and optimizing Human Robot Interaction using a low-power RF system. I attended the prestigious CECyT Juan de Dios Batiz Paredes (a mouthful) in Mexico City. I obtained a Technical Degree in Digital Systems from Batiz. I moved back to the US to attend and graduate from Oak Grove High School in south San Jose. I attended Ever Green Valley/San Jose City Community Colleges where I met lots of good friends! I worked for brief periods of time (high school and early college) baking pizzas, maning the movie concession stand (for a single night! ), and at Orchard Supply Hardware. These experiences made me appreciate people that do customer service. They require a lot of patience. I also worked at Veritas Software checking Network and Storage Systems before being acquired by -I believe- Oracle. During my B.S. at SJSU, I interned at Hewlett-Packard in the Social and Environmental Responsibility group in Palo Alto, CA; the laser-jet R&D division in Boise, ID; and the Optical Systems Technology (OST) laboratory in Palo Alto, CA. During my graduate studies I worked for Caugnate (acquired by Vuforia) as a Software Developer developing and implementing augmented reality and computer vision applications; and for Social Intelligence (now Carpe Data) as Chief Data Scientist creating statistical and predictive models for insurance purposes. I currently work for Procore Technologies conducting Machine Learning and Data Sciences research helping to build smarter construction management software tools and applications.